Build your very own little robots with this great beginners' introduction to solar power technology. No batteries, glue or screws required for assembly, instead you build the kit with easy to connect pieces. Each robotic design comes with active movements and a safe mechanical gearbox. 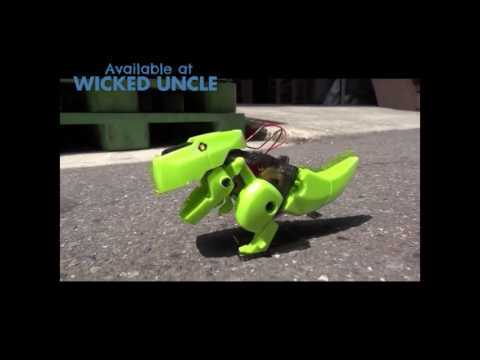 The robot features walking legs and moving wheels, the T-Rex dinosaur and Rhino beetle have walking legs and opening jaws, while the Drill vehicle has a turning drill with moving wheels. Fun way to learn about the possibilities that solar energy can provide.